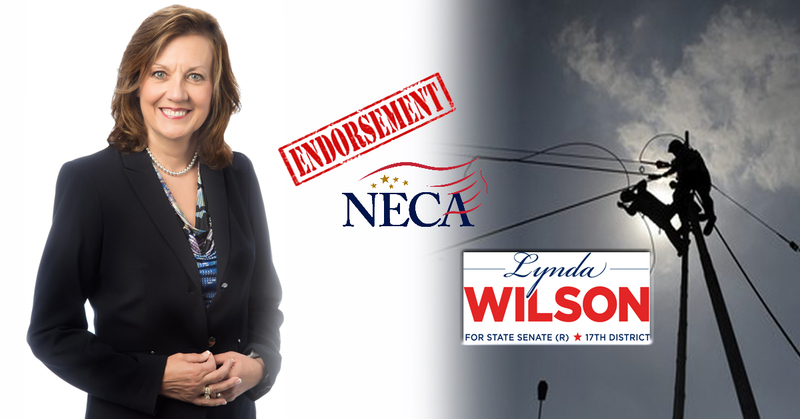 The National Electrical Contractor Association (NECA) has endorsed Lynda Wilson for State Senate in Washington’s 17th Legislative District. NECA Puget Sound Chapter joins a long list of independent contractor and business associations that have thrown their support behind Wilson. In their endorsement of Wilson they site several issues they believe Wilson would be engaging on. Building code changes, license or certificate requirements, options for obtaining private sector industrial insurance and B&O taxes were just a few concerns the NECA has going into the next legislative session. The Columbian Endorses Wilson!Public Education Advocacy Group Endorses Wilson!